I have 3D reindeer from the 80s. The lights were a mess so I cut them off and need to replace them. What are the best and easiest lights to use? I have a lot of deer and a large village. There are lots of brands out there and they all have their pros and cons. 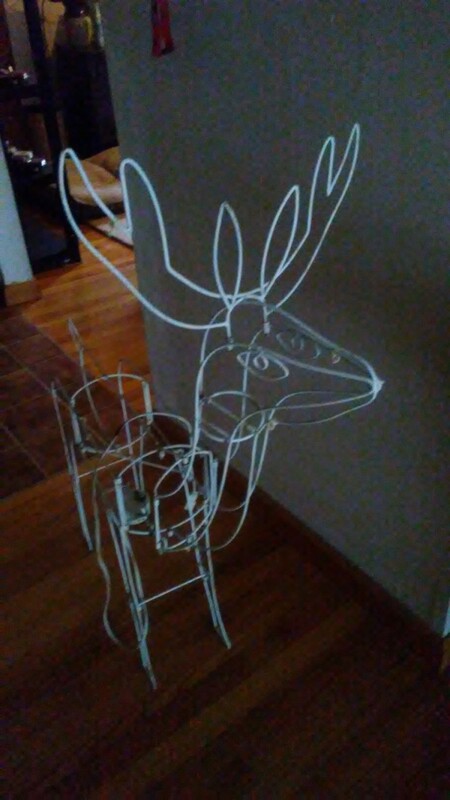 Things to remember are to measure every inch of the reindeer you want covered so you can buy the appropriate length of lights. Piecing strings together would be a pain. Amazon and other big box locations sell long strands. Be sure to check the package to guarantee they are for outdoor use and if you are in an area that is extra cold (or hot) you may want to check with a local hardware store to see if there is a specific brand to your zone temperature. Where I am it can be hot at Christmas or cold (Pittsburgh weather changes like the wind) so I always look for all purpose, all season lights. I would make sure any lights are UL certified. I would go to a store like Home Depot, who guarantees their products.